A GP Bullhound research report stated that the online lead generation was growing at 71% YTY- more than twice as fast as online marketing. 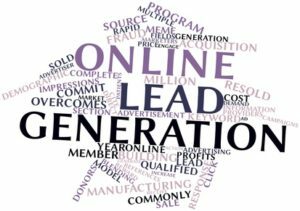 Lead generation is a marketing activity that refers to the generation and conversion of prospective consumer interest for a product or a service into a business lead. A business lead is a opt-in sign-up for a product or a service offer. It includes contact information and in some cases, demographic and psychographic information. 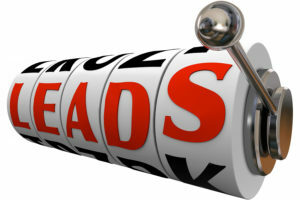 Business Leads are generated for a variety of purposes. It helps in building a subscriber base, building a list of prospects to keep the sales team busy, or to create an e-newsletter list. For e-commerce and other online businesses, leads are generated to convert them into customers online in real time. 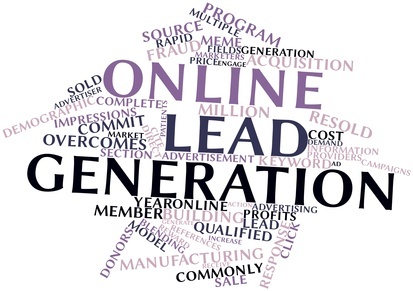 Lead Generation is not a new form of gaining new business, but it now has a new approach. Rather than sitting at a trade show table for hours on end, hoping that targeted consumers will fill up a form, you can have leads generated on the Internet using search engine marketing, social marketing, email marketing and contextual relevant display advertising in websites where the intended target audience visits. The 3 most commonly used lead generation strategies are search marketing email marketing, event marketing, and content marketing. uses better consumer targeting, knowledge about consumer behaviour and intelligent form fields to generate leads that marketing team thinks, will convert more. A SQL is a lead that the sales team generates with the sole intention of quick conversion and closer. A MQL is more quality, less quantity. A SQL is more quantity, less quality. In recent times, content marketing is raising its presence felt through blogs and content syndication in generating leads targeted by interests, passion and familiarity. Users are made familiar with the brand through interesting content with the hope that they will be favourably inclined to show interest for the brand or the product / service. Hard selling as a concept is thought to be unpopular in the Internet age, where it is easier than ever to reject propositions for a product or a service. In that context It is said that marketers with blogs are 13 times more likely to drive positive ROI than those who don’t have one. Having said that, there has not been any significant decline in online lead generation through banner and search marketing that works on CPM, CPC, CPL and CPA pricing models. Display banner and search marketing can give higher reach quicker. 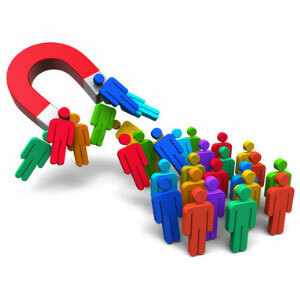 The sales channel has a requirement for volume of leads along with good quality leads. This is primarily driven by the advertisers’ demand for ROI focused marketing. For marketers that are looking to pay only for specific actions, CPL advertising and CPA advertising (also referred to as affiliate marketing) are preferred. In CPL campaigns, advertisers pay for an interested lead. So, they pay for the contact information of a person interested in their product or service. CPL campaigns are suitable for brand marketers and direct response marketers. In CPA campaigns, the advertiser typically pays for a completed sale that may or may not involve a financial transaction. CPA advertising is primarily used for driving e-commerce sales, mobile app installations and other such actions that are possible to be tracked till closure. CPA is all about ‘now’, it focuses on driving consumers to buy at that exact moment. We, at Kuhipaat Communications & Technology Private Ltd. believe that we can help your business by structuring marketing programs to generate leads. We will understand the requirements of your business and arrive at the strategy to be implement a lead generation campaign. A strategy is dependent on the product / service, the target consumer set, the sale cycle of the product / service and the budget that is available to be spared for the lead generation campaign. #WordPress How to remove WP-VCD Malware? Protech Guru: Use of a Brand Character to create consumer engagement.